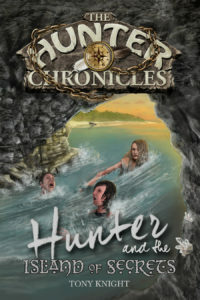 A creative collaboration between acclaimed author Amanda Bews (Heaven Sent, Summer Fades) and playwright Tony Knight (The 12th Gate, Under Oath and iThirst), the Hunter Chronicles stories, combined with the Hunter’s Handbook study guides represent a bold new step into narrative based Bible exploration for Juniors. To date, there are five novels and four Bible study guides in the series. 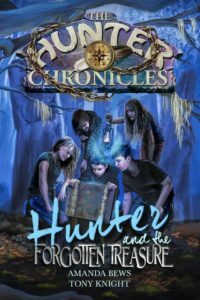 A Hunter Chronicles journal and exciting new story titles are planned for 2019. 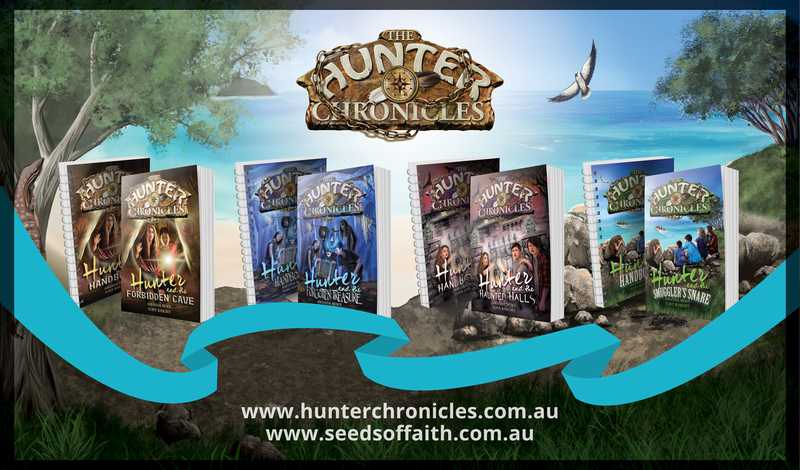 The Hunter Chronicles series is specially designed for primary school, junior age (10 – 13 year old) readers. If this is you, that’s great! We know you’ll love these books. Just so you know, each installment or volume is made up of two parts – a storybook plus a Bible study guide called a handbook. Each volume in The Hunter Chronicles series unpacks seven great teachings from the Bible. 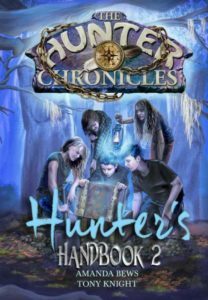 The chapters in each Hunter Chronicles storybook correspond to the seven lessons in each Hunter’s Handbook Bible study guide. Over the course of the four Hunter Chronicles volumes, twenty-eight great truths of Scripture are explored in depth. Sessions are designed in such a way that an entire volume of the series (seven teachings) can be completed during one quarter or a school term. Pathfinder honours are also available for each volume of the Hunter Chronicles series. Ethan Hunter can’t believe what he’s hearing. His life is in ruins. The family is broke. His dad has legal problems and like it or not they’re heading for the bush… No warning. No questions. No choice! Could life get any worse? Sure it can! He and his Mum have to move into his cousin Stephanie’s spooky, tumbled-down old house. There he meets a magpie with a sharp beak and a long memory, and a horse that thinks it’s a dog. So Hunter’s on a mission, dragging Stephanie in his wake, and sweeping Grace and James along for the ride. Ethan gets more than he bargained for as he braves the forbidden caves in search of the Clarke Brother’s hidden bushranger stash. But what is the significance of the eagle? And who is the dusky stranger watching from the shadows? Now is your chance to get the story behind the story. Join Ethan and Stephanie Hunter as they unlock the hidden messages of the Truth Codex and begin a relentless search for answers to life’s big questions. HUNTER’S HANDBOOK 1is an interactive Bible study adventure guide and the companion volume to the Hunter and the Forbidden Cave storybook. 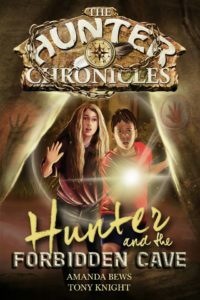 It explores the challenges faced by junior aged kids as they grapple with understanding God, themselves, and how to live life according to the Way of the Hunter. 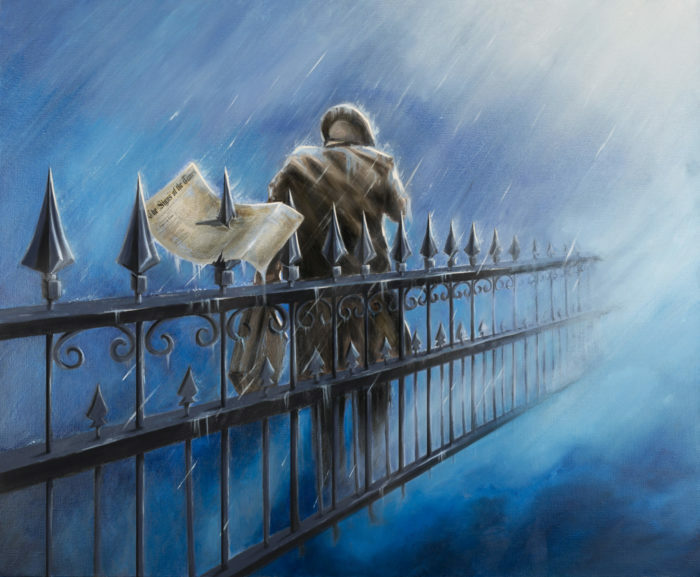 Ethan, Stephanie and their new friend Lachie, are off again, this time following the cryptic trail left by the black-hearted bushranger brothers, Thomas & John Clarke. From forbidden caves and crumbling ruins, to spooky grave-yards and ancient burial grounds, the treasure-seekers delve into secret compartments and even more secret family histories in the hunt to solve a century old mystery. But who are the mysterious figures dogging their every move? Does someone else know about the bushrangers’ gold? And what does any of this have to do with ancient Vikings? The race is on. First to the treasure wins, and doesn’t the winner always take it all? Dodging Zeke and his gang of bullies, battling dinosaurs, saving Pooky the Bear from a fate worse than death – it was just another day in the life of Ethan Hunter. Who would have thought starting at Mystery Bay Primary would be so dangerous? As the skies filled with smoke, the flames rose higher and Mystery Cove succumbed to the fires, Ethan was forced to confront the truth about himself. People either do something, or they do nothing. Would he pass the test? HUNTER’S HANDBOOK 3 is an interactive Bible study guide and the and the companion volume for the Hunter and the Haunted Halls storybook. In this volume, good and evil come together with a clash, as Ethan and Stephanie desperately search the Truth Codex for answers. Whose side will they choose in the great battle for this world? The smoke had barely cleared when Mystery Cove faced another crisis. Animals were disappearing from the national park and Jem was talking about smugglers. As the trail heated up, Ethan had to consider—was it the work of traffickers, or an old enemy returned? Closer to home the Hunter gang was in danger of splitting up. Barry and Bentley were leaving the Cove, Zeke’s family was tearing itself apart, and Stephanie seemed lost in a hundred-year-old diary. As the date of Ethan’s baptism approached, he wondered what it would take to make them feel like a family again. HUNTER’S HANDBOOK 4 is an interactive Bible study guide and the companion volume for Hunter and the Smuggler’s Snare storybook. In this volume, readers join with Ethan and Stephanie as they discover what it truly means to be a part of God’s family. 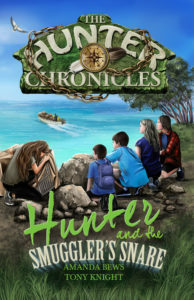 Written for the 2019 Australian Union Conference “Unstoppable” Pathfinder Camporee, Hunter and the Island of Secrets is the first of many stand-alone Hunter Chronicles adventures. The chance discovery of a gold nugget and a 150-year-old miner’s claim launches Ethan and Stephanie on their most perilous adventure yet. It’s all aboard the Osprey, as the Hunter crew set sail for the mysterious Island of Secrets on the trail of a completely new kind of treasure. Shipwrecked and alone, it’s an action-packed quest of survival and discovery as Ethan and his friends navigate abandoned mineshafts into the darkest heart of the island. 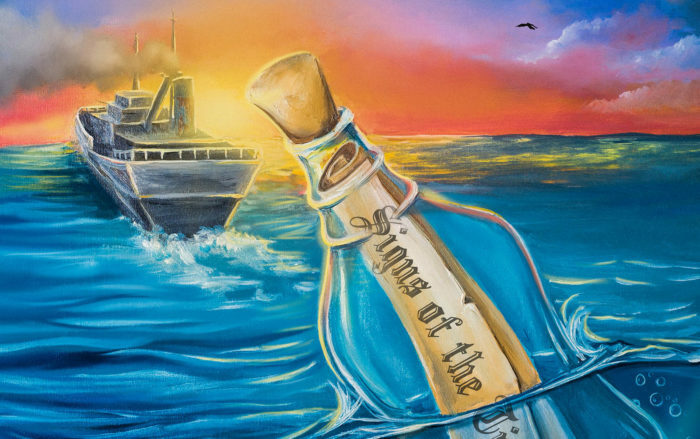 Along the way they confront pirates, rescue friends new and old, and learn the only way forward it is to put their lives completely in God’s hands. As the Island yields up one last secret, the Hunter kids learn the true meaning of loyalty, grace and forgiveness, and discover the greatest treasure of all, one bound to change their lives forever. 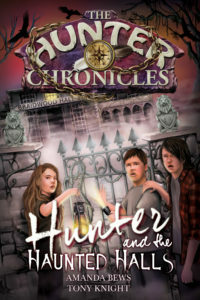 Read the Story – You can simply read The Hunter Chronicles books as standalone storybooks. With believable and engaging characters and extremely exciting stories, the books are brim-full of adventure and exploding with valuable life lessons. They are written with a high moral value, but don’t shy away from addressing the real issues faced by lots of junior age kids in today’s world. Personal Study – Many 10 – 13 year olds will enjoy reading the books and doing their own exploration of the Truth Codex by completing the lessons in the Hunters’ Handbook chapter by chapter. The lessons are self-explanatory, highly interactive, but thought provoking and insightful. Family Worship – The series also works really well in a family or group worship setting. One person, a parent or child may read the chapter in the storybook, then the family can read through the lesson in the handbook, discussing the various points, answering the questions, and sharing opinions, while learning and growing together. School Lessons – In a similar way to Family Worship, the lessons can be used in a classroom for Religious Education or Bible class, whereby a teacher or a student reads the passage and then the class discusses the questions. Alternatively, the teacher can read the chapter, or even have the students read the chapter, and set the lesson as individual task-work or a homework assignment. 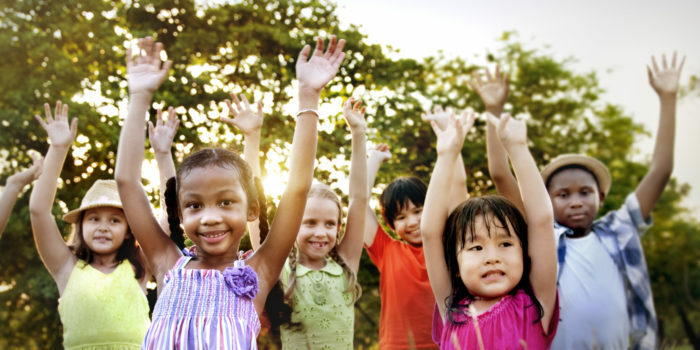 Baptismal Classes – We would suggest that the lessons would be especially suited for use by pastors or school chaplains for follow-up with children who have made decisions at church or school Week of Prayer programs, Summer Camps, Camp-meeting programmes and other places where juniors have made decisions for baptism. Pathfinder Clubs – Pathfinder Clubs will also find the storybook/notebook combination useful for teaching the Bible Doctrines component of the Junior Pathfinder classes (Friend, Companion, Explorer). In addition, a special series of Pathfinder Honours is available that complement the series. 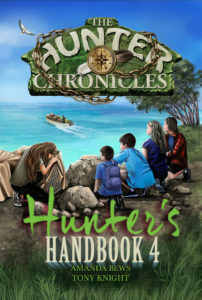 As a child reads each storybook and completes the handbook, they become eligible to receive The Hunter Chronicles honour token corresponding with that book – four in all for the junior series. 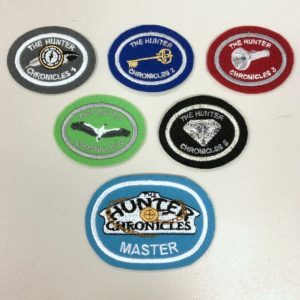 When all four storybooks and notebooks have been completed, the junior is entitled to receive The Hunter Chronicles Master Token. “Discovery is the stuff life is made of. Amanda Bews gets that and has turned her brilliant imagination to the task of creating a tale of discovery both fun and enlightening. 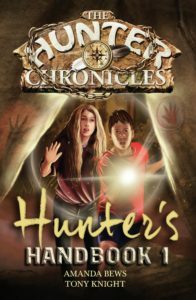 The Hunter Chronicles is, quite simply, a delightful journey into the wonder of finding things out you didn’t know before.” – Ty Gibson, author and spiritual-explorer. “A gripping adventure story from beginning to end. I literally could not stop reading. 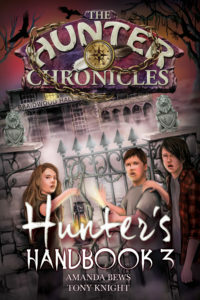 As an educator who works with children, I am certain The Hunter Chronicles Series will be an absolute hit with readers. Finally, a series that infuses biblical principles through narrative that children will be transfixed by. – Sharon Witt, educator, media-personality, and author of the Teen-Talk books. “At last! An ingenious way to share Biblical principles with junior aged children. Bews and Knight have come together to deliver the first instalment in what will surely prove to be an exciting and intriguing story and study masterpiece.” – Murray Hunter, speaker, writer, youth and education ministry leader. Total includes GST. Shipping will be calculated and added to your invoice based on order weight and destination using the best rates available. Wholesale, bulk, package, and special rates may apply. Please contact Seeds of Faith for details.